We created On Call Manager many years ago for a doctor office to manage their doctors who are on call. It quickly became one of our most used products of all time by many organizations with people on call. Please take a minute to think about how your organization will use On Call Manager! when your customers are sent to a support queue, On Call Manager will search a calendar to see who is scheduled to handle after-hours support calls. If the max queue hold time is exceeded, the caller will be asked to leave a voicemail. On Call Manager will automatically notify your staff that there is an open support request via call, text message, and/or email. If an agent doesn't respond, On Call Manager will escalate notifications to the next agent based on the specified settings. You can configure how staff are notified, how many times you want 3CX On Call Manager to notify an employee, how long to wait between notifications and more. Having an event log makes it easy to track after-hours support requests, monitor compliance with service level agreements, and track staff performance. 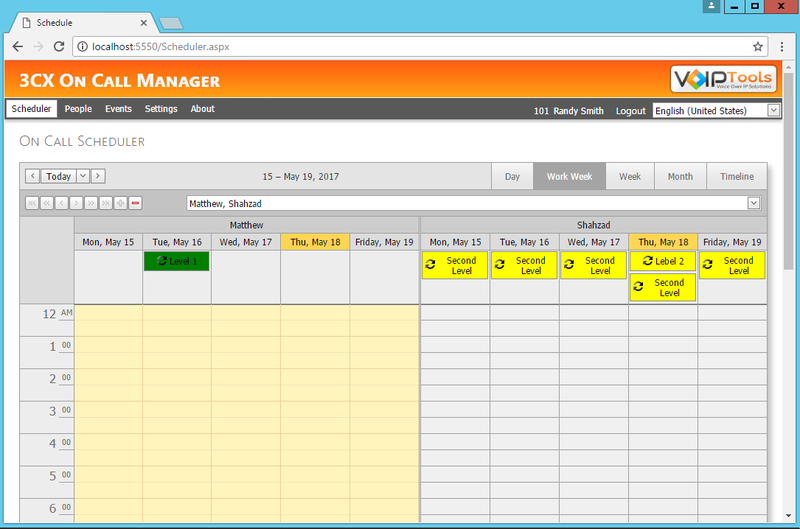 3CX On Call Manager will log your scheduled agents into the queue automatically. Improve customer satisfaction and service by massively reducing response time! Paying for an expensive after-hours answering service? Not with VoIPTools! Get On Call Manager as part of the VoIPTools collection and don't throw money away on expensive after-hours answering services! Never miss another call with On Call Manager! Have a service level agreement for support of your product? Use On Call Manager to assure you are meeting your SLA terms. Note: Version 15 of 3CX On Call Manager does not currently support first-level queues. We must wait for 3CX to release Voice Application Designer (VAD) for 3CX V15. Having trouble taking care of your customer’s requests for help when your support staff aren’t working? Not if you have 3CX On Call Manager. Now when your customers are sent to a support queue, 3CX On Call Manager will search a calendar to see who is scheduled to handle after-hours support calls. 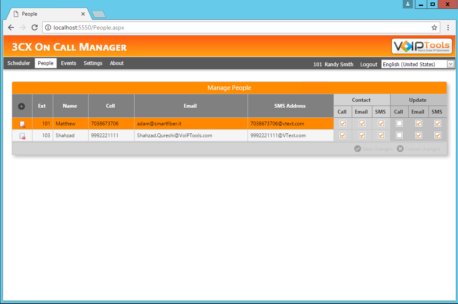 3CX On Call Manager will log your scheduled agents into the queue automatically. If the max queue hold time is exceeded, the caller will be asked to leave a voicemail. 3CX On Call Manager will automatically notify your staff that there is an open support request. In addition to calling your staff on the phone, the program can send text messages, and emails with a copy of the customer’s voicemail for your staff to hear, along with a text transcription of the voicemail. Having a event log makes it easy to track after-hours support requests, monitor compliance with service level agreements, and track staff performance. 3CX On Call Manager makes sure you are notified of support requests, and helps you provide timely responses to those requests. 3CX On Call Manager ensures quick responses to help requests, and thus improves your customer service.